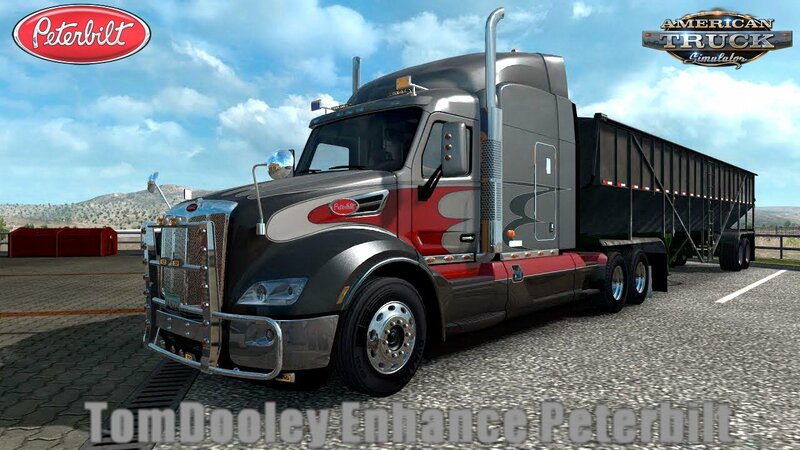 Peterbilt 579 Tom Dooley Enhanced v1.0 (1.29.x) for American Truck Simulator game. – Lots of chassis from 4×2 via 6×4 to 8×4 and 8×6. – Numerous sideskirts, many “naked” with light slots (light pack not included). – A few new bumpers. 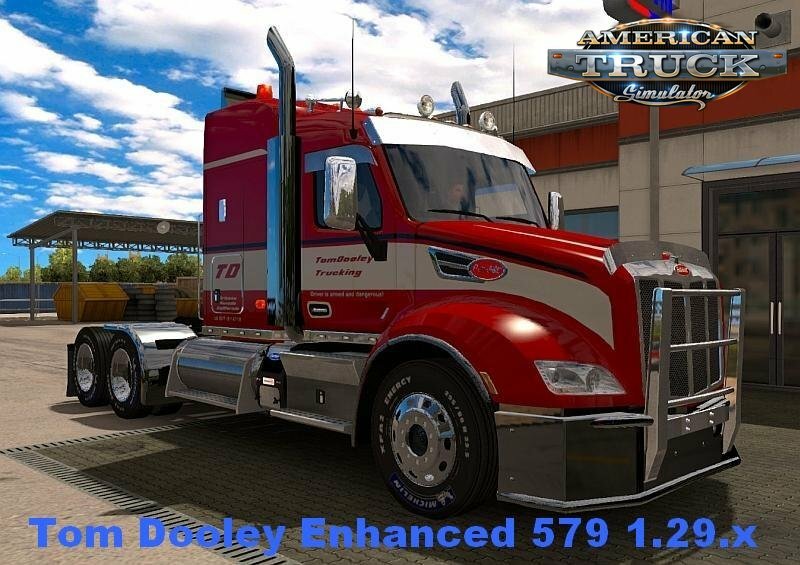 – sideflare slot stripes for all cab lengths, with/without pipes gap. – Fully modular aerokits forall sleepers. When used with GT-Mike’s EPIQ package, you can also create other EPIQ cabs. Detachable side panels, roof fairing, cab/sleeper fillers. Also come with optional chrome fillers. 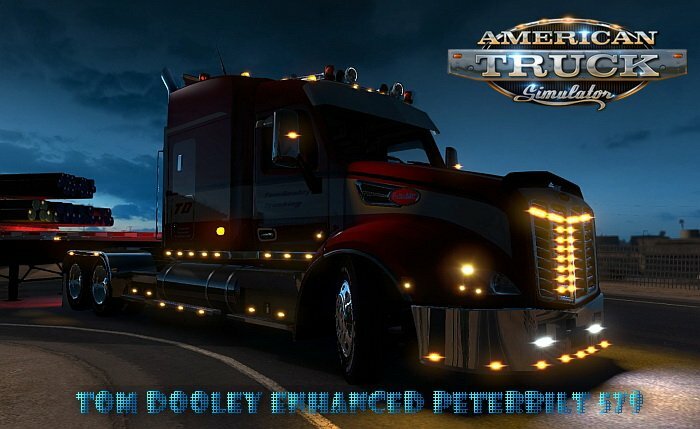 - default part assignments for quick jobs and truck dealer.